Home > Coin Collecting > Do Commemorative Coins Interest You? Do Commemorative Coins Interest You? Commemorative coins have become very popular for many people. Some people just want to have different kinds of coins in their collections or they collect them as souvenirs. Many times they are used as traditional gifts for special occasions. These coins are not considered to be practical gifts, but are commemorative items that can be kept for years as special souvenirs when received by a special friend or loved one. During the following year, the first quarter dollar commemorative was introduced to signify the Exposition as well, but it also gave honor to queen Isabella of Spain. She was the one who “back-pedaled” the political agendas on Women Rights. The first commemorative coins that were made of silver were introduced in the 1900s. The coins were minted in honor of Lafayette and George Washington. 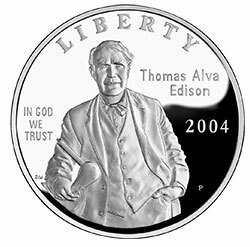 In the following years, the half dollar coin was denominated, and the legal tender commemorative coins were created to mark celebrations rather than historical events. These coins are recognized today as classical sets of special coins of historical events between the years 1892 – 1954. It was in 1932 that the Washington quarter dollar was released as the United States’ second commemorative coin in its denomination. It was issued for the 200th birth anniversary of George Washington. The coin also continues its circulation as a commemorative coin because of its popularity. It was uncharacteristic to circulate a commemorative coin of the 1892 – 1954 era in the United States because the government had not intentionally put them into circulation, (they were not legally approved by the government for public use) so collectors will not pay the premium costs of these coins that are still in the market. 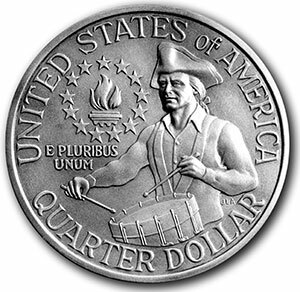 In 1975, that the Bicentennial quarter was introduced. It became the second circulating commemorative coin in the U.S., while the silver dollars and half dollars (1776 – 1976) were reissued as a special collector’s edition. Many collectors have different agendas when collecting these coins. Some prefer commemorative coins from 1892 – 1954 while most collectors choose the modern editions. They know that these coins have different values depending on the series and/or editions. The confusing part of these commemoratives that are circulating is the pattern of the denomination. The 1776-1976 commemoratives half-dollar and silver dollar may not be included in collections because of their scarcity. Most of the coins that are circulating are the quarter dollar coins. Filed under Coin Collecting by Vic Bilson on Aug 28th, 2017 .